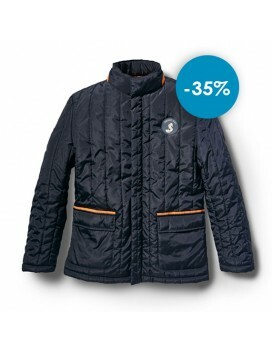 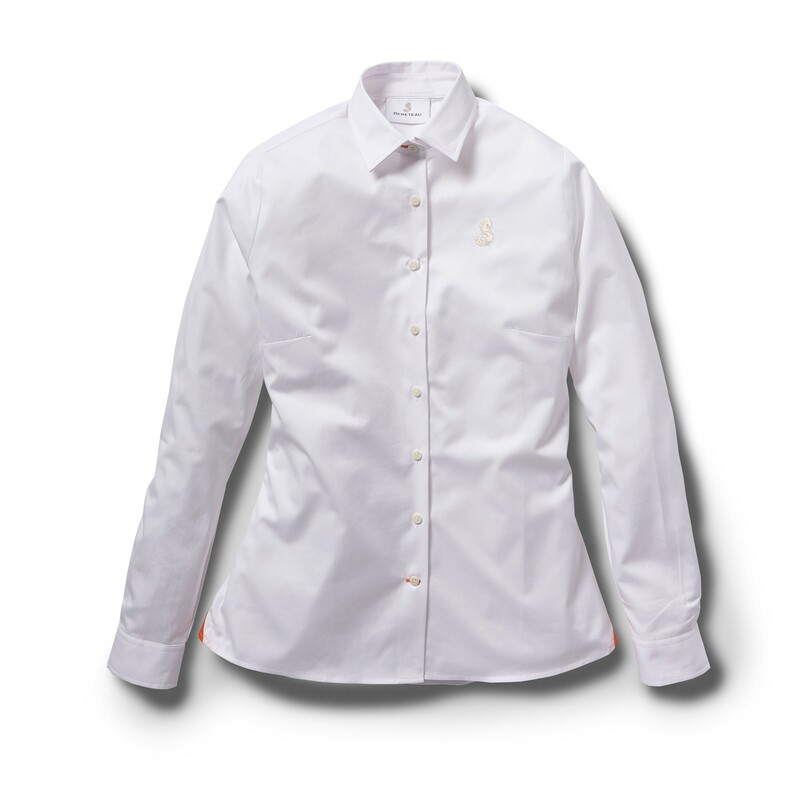 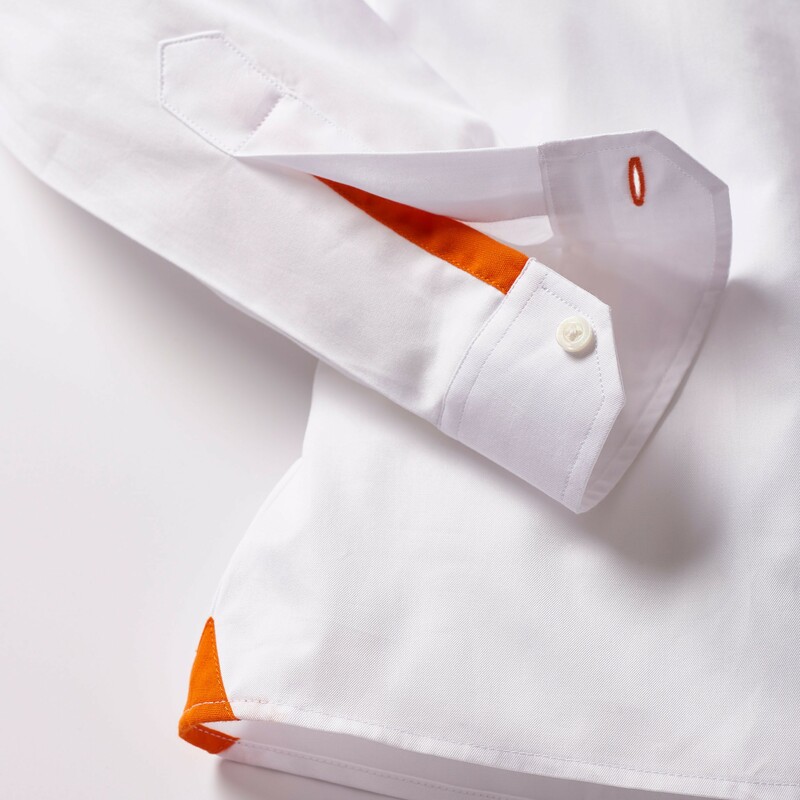 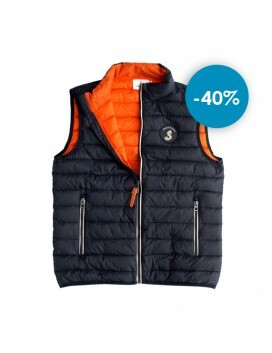 This 100% twill of cotton white shirt comprises orange details make a reference to Beneteau. 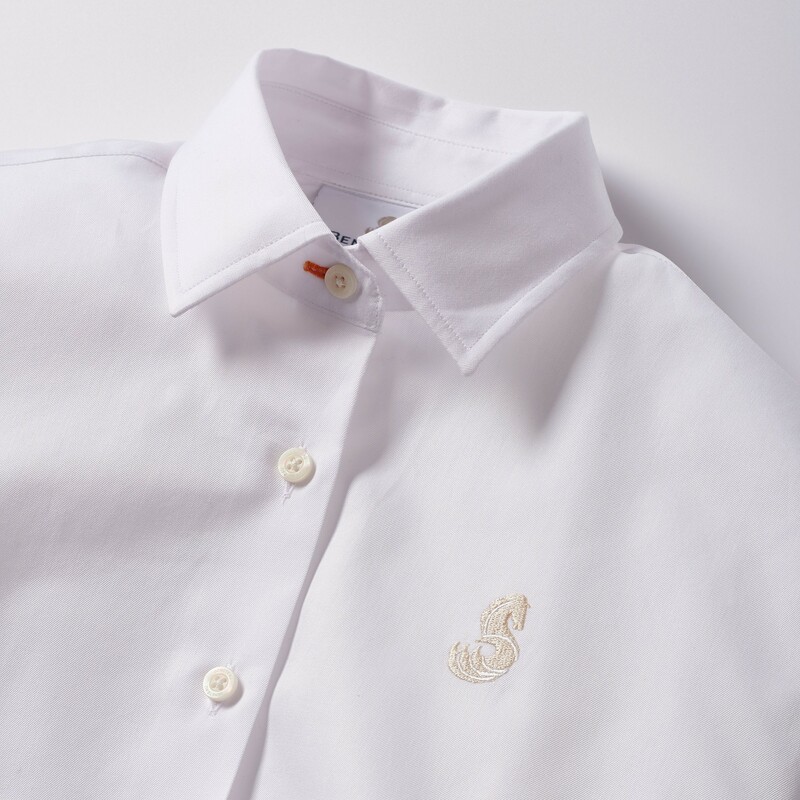 There is also the brand logo on the chest. 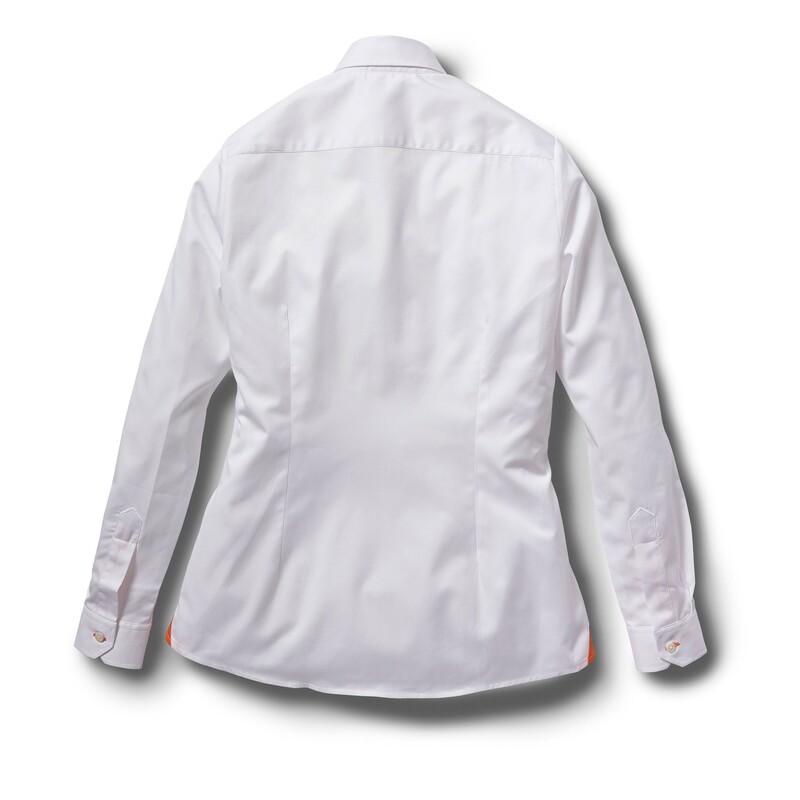 The women cut is fitted to hug the feminine curves.